Coin News Telegraph Ethereum Tron Price Prediction – How Much Will be TRX Value in 20182025? Tron Price Prediction – How Much Will be TRX Value in 20182025? The market of cryptocurrency has exploded in 2017 when all major cryptocurrencies gained 1,000 percent and more in price. The world is continuing going digital, and thousands of altcoins pop up here and there. One of the top 15 global currencies is Tron (TRX), and it is slowly gaining authority in the crypto community. What makes this cryptocurrency special, and what is Tron cryptocurrency prediction for the following years? If you’ve been in the dark about this currency, it’s time to get essential information. Tron is the creation of 26-years-old Justin Sun, a Chinese student who previously worked for Ripple (RPX). 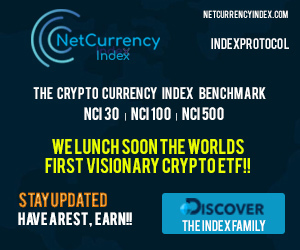 This currency was designed to change the way major websites and platforms publish and use the content. Besides, it facilitates sharing of content in the Net eliminating the need of major content providers, such as YouTube or Facebook. Therefore, Tron would be useful for artists, musicians, creatives, and people alike. it’s based on Ethereum and soon will become an independent Blockchain. In 2017, TRX Tron price prediction wasn’t simply justified– no one suspected the coin to perform so well. The results were very progressive. So, what do we have now? In January 2018, Tron was worth $0.049, and the market cap was estimated at $3,221,003,949. It was also valued at $0.25 with an unimaginable market cap of $16,752,047,709. This is a huge growth that can be compared with rising of Bitcoin and Ripple. Today (July 2nd, 2018), one TRX is worth $0.037, which isn’t as much as the community has expected, but some changes are coming– we’ll mention it later. 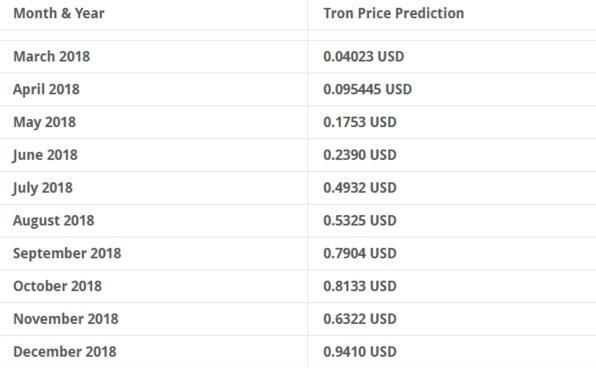 Let’s find out what is Tron price prediction for the following years. Let’s remember– the current price of TRX is $0.037, although it was supposed to have risen to $0.23-$0.4 already. According to investingpr.com, it will rise to $1 within only five years – that seems to be a realistic Tron price prediction. Note that the circulating amount of TRX coins is already 65,748,192,475, and it will only increase– that’s the factor that keeps Tron from growing. But while more and more developers start implementing the platform, it becomes more appreciated. According to Tron coin price prediction 2018 from WalletInvestor, the currency is going to reach $0.1 within a year. 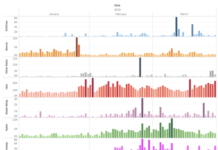 Let’s face the truth: 2018 isn’t the most favorable year for this coin, and the fact that it has emerged from Ethereum is what makes it controversial. However, 2018 is a good period for making long-term investments. If you’re ready to wait for a few years– this is your chance. While Tron 2018 prediction isn’t as bright as we expect, this blockchain is only at the beginning of its way to success. Theoretically, in 2019, the current Tron prediction can become true: as it gets more investors from major payment platforms and provider such as PayPal, it can gain in value considerably. The ending of 2019 may be great, as well, with TRX reaching around $1.5 per coin. Generally, Tron coin prediction 2020 is optimistic. 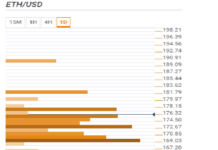 Due to its technological supremacy, it can hit the Litecoin and take its place. It may also be conditioned by the fact that it may get more investors from big companies. Many investors are already interested in TRX right now seeing that it’s more cost-efficient than its competitors. 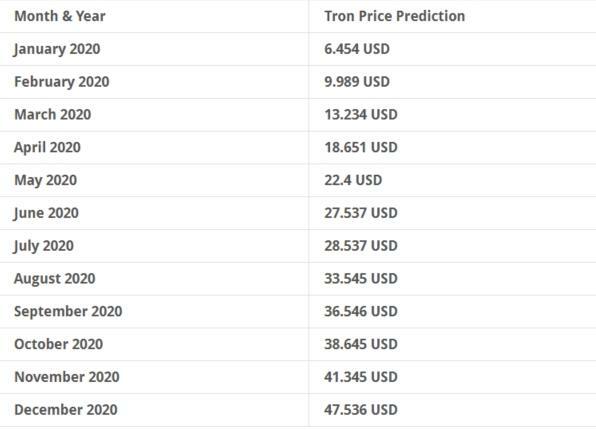 Therefore, the most adequate Tron prediction 2020 would be some $2 and more, though some resources give more positive forecasts. What will happen within the next seven years? No one can answer this question for sure. According to the most realistic forecasts, TRX can climb to some $0.4 – $1.7, though Facebook claims it can grow to $31. It’s not likely that Tron can surpass Bitcoin– all in all, it’s based on a different Blockchain and serves for different purposes. Therefore, TRX is appealing only to some certain circle of investors. What Tron coin prediction depends on? Overall token supply. It’s already 65 bln, and this number is expected to grow (by 2050, all 100 bln coins will be issued). Such a huge number of coins devalues them. Implementation of Tron. Tron TRX prediction directly depends on the level of its implementation. As soon as large companies start implementing this cryptocurrency, it will become way more valuable. At the moment, it’s widely present on the cryptocurrency market but is not widely used by startups involved in creative content publishing. Tron becoming an independent platform. Right now, Ethereum casts a huge shade on Tron authority. As soon as creators reach the new level of development and make TRX independent, we can witness its popularization. According to realistic price prediction, Tron won’t hit the benchmark of $1 soon– it needs time for evolvement and development. This is a nice investment opportunity for those who are ready to wait. So if you have nothing to lose now, and you have enough patience, it’s time to buy a few thousand TRX right now. 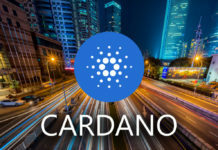 (ADA) Cardano Price Prediction and Forecast 2019 / 2020 (Updated 04/23/19): ADA/USD Dropping to Support?